It is our goal here at www.rcfoam.com to ship your order as soon as possible. All orders are shipped within one business day of payment unless otherwise stated. Certain items are subject to additional processing times. Please refer to the specific product for individual processing times. RCFoam, Inc. operates a shipping warehouse in Colorado Springs, CO. Select items may be available for free pickup at our warehouse. Please note that if Local Pickup is not available as a shipping option on your order, IT IS NOT AVAILABLE FOR YOUR ORDER! Most likely, the items on your order ship from our other warehouse. 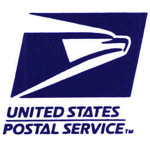 In order to provide you with the best shipping rates possible, international orders are always shipped with USPS First Class International for packages under 4 pounds, or USPS Priority Mail International for packages 4 pounds and up. These international shipping methods are NOT trackable and NOT insurable! If you need a trackable or insurable shipping method, please contact us. Insurable/trackable international shipping methods almost always cost three times as much! Once your order leaves our shipping office, we are not responsible for lost or damaged merchandise. The estimate on these shipping methods provided by USPS is 6-10 business days, however it can sometimes vary substantially. Shipment times do not include customs processing times which vary by country and is beyond the control of www.rcfoam.com.